This information is REQUIRED for accurate design, quotation and manufacture of an EGC graphite stem packing for your application. Incomplete, inaccurate or missing information will result in a delay or inability to design, quote or manufacture the required stem packing. 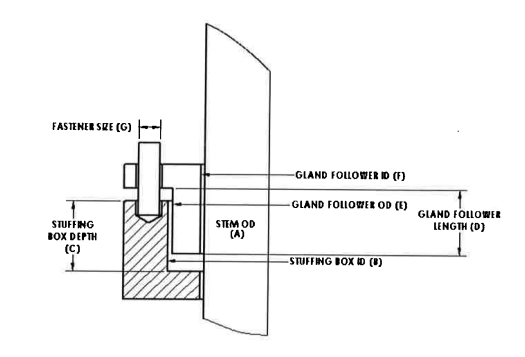 Provide dimensions below using the stuffing box illustrations for reference. ACCURATE & COMPLETE data is essential to ensure proper fit & function of the new stem packing. What is the Valve Pressure Class?